make and place (ornamental) paving, fences, waterworks and ponds, wooden shed, sandboxes and climb- and playgrounds. In other words: prospects are from mowing to garden designing inclusive complete construction of your garden . If necessary special workmanship will be asked to experts. We like to make an appoint with you for a preliminary talk, preferable in your garden. Eventual an other appointment and or (plan with) offer will be made. Your assignment can be e.g. : a complete or partly laying-out of your garden; complete or partly maintenance; just a few times a year pruning so you can do easily daily maintenace; advising, coaching, planning or designing. You will get something special for you. Besides we can do the (regular) maintenace together with you. This gives the opportunity to discuss the occuring matters at once. A more personal fulfilment of the garden is get. 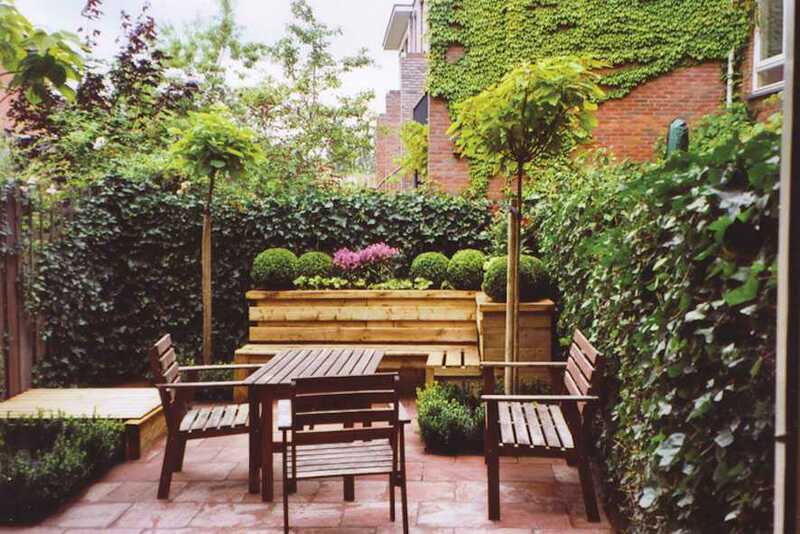 At, Liesbeth Köhlenberg, tuinontwerp- en adviesburo, it is important you can enjoy your garden. This means for instance a beautiful and representive appeareance, a particular choice of plants and above all the pleasure to be busy with your garden. , please state your phone number and adress.